Black buffalo grain leather safety boot. 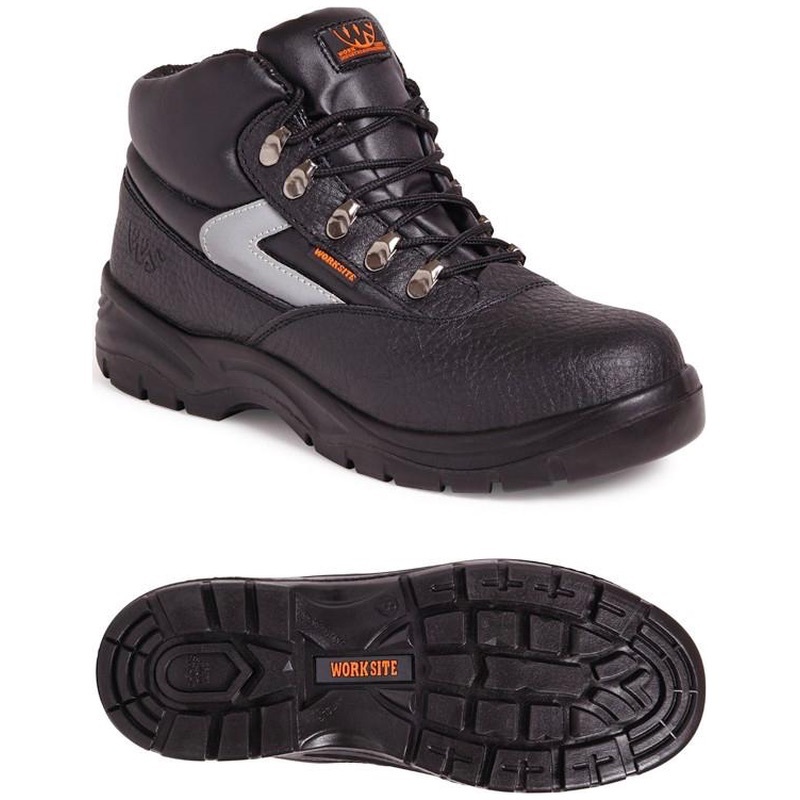 Steel toe cap and steel midsole protection. Large padded collar for maximum comfort. Reflective flash to side of boot. Dual density polyurethane outsole. Anti-static. Ideal for many types of industry.